War Thunder at Igromir 2013! News War Thunder at Igromir 2013! WAR THUNDER: «IGROMIR 2013» VISITORS WILL BE ABLE TO TEST GROUND FORCES GAMEPLAY! Our 800 м2 booth will be in Hall #1 of «Crocus Expo» exhibition center. Visitors of this expo will be the first players in the world who will be able to try long expected new game mode of War Thunder — ground forces. Battles combining not only aircraft but also player-controlled ground forces will be released until the end of 2013. 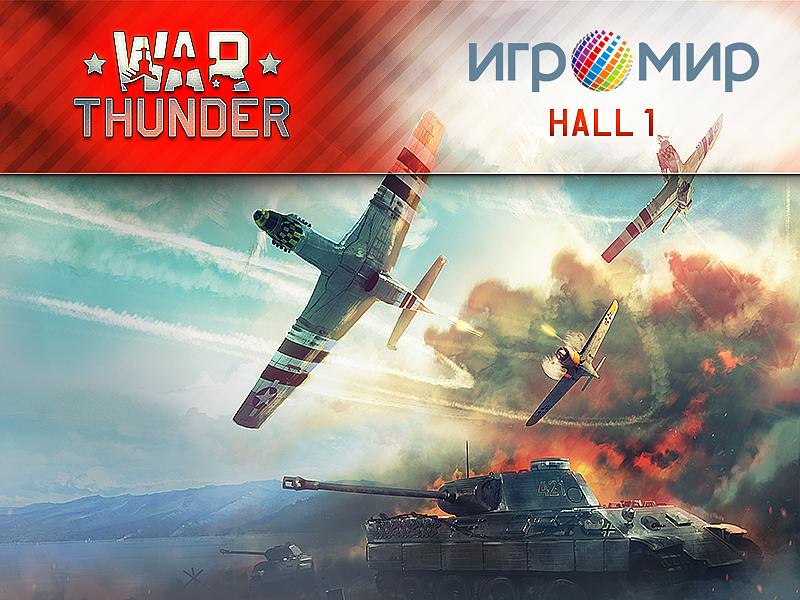 War Thunder PS 4 version will also be available at Igromir. It is first Russian game project for next generation consoles, and it is in one of the launch-titles for new PlayStation. See us on Igromir! You won't miss our booth!